Our weekends have become synonymous with eating out and I revel in the weekend breaks I get from cooking. It’s this little trick that helps me enthusiastically partake in my culinary adventures during the remaining five days of the week. But there was something different about this weekend. There was no take out, delivery or dining out!! Why? Even I asked myself the same question but it’s all quiet on the answer front. So, to commemorate the occasion I decided to dish out something tantalizing for the last meal of the day before the mundane Monday kicked in. And I was struck by the idea of a tandoori night. The tandoor part of the tandoori chicken would be taken care of by my oven. But I would have to take care of the bird part. 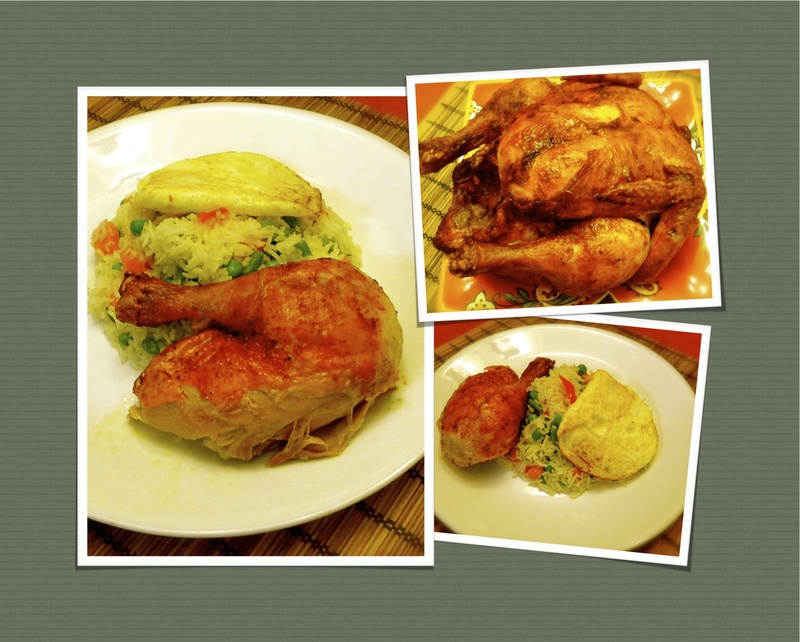 A quick trip to the grocery store and my kitchen welcomed some new visitors–a whole chicken and some seasonal vegetables. Now these visitors had to be looked after real good. The pampering started with marinating the chicken, rubbing it all over with tandoori masala, adobo seasoning, butter and salt. I couldn’t help but envy the chicken for enjoying a nice spa treatment. Out of spite I shoved in halved lemons and garlic heads in the chicken’s cavity! And the prepped up bird was perched on the makeshift roasting pan-the baking tray, to hit the sauna for an hour and half. Out from the ‘tandoor’ the chicken was greeted by rice pilaf—cooked rice mixed with vegetables sautéed in a GENEROUS dollop of butter. We sat down for dinner and enjoyed a scrumptious meal….well a picture speaks a thousand words! 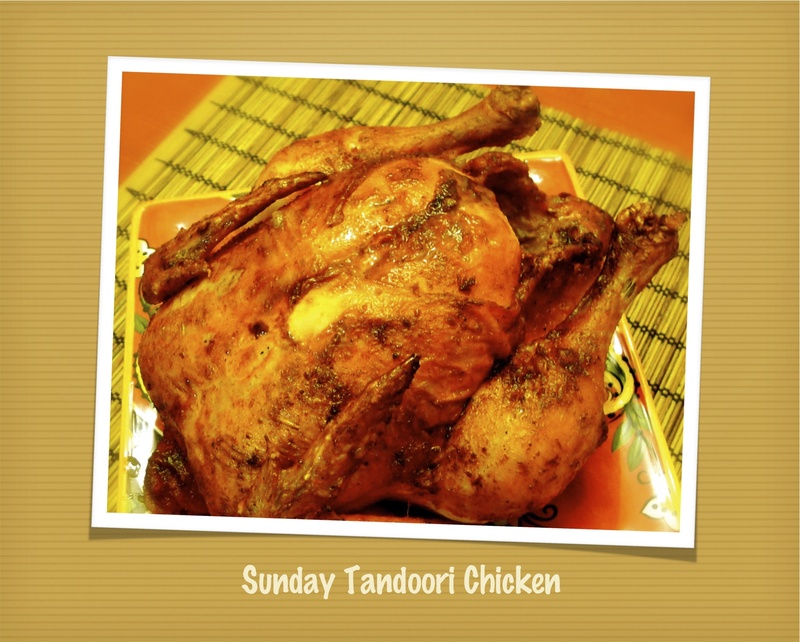 Categories: Chicken, Non-vegetarian | Tags: chicken, chicken roast, egg, pilaf, rice, rice pilaf, seasonal vegetables, tandoor, tandoori, tandoori chicken, vegetables | Permalink.